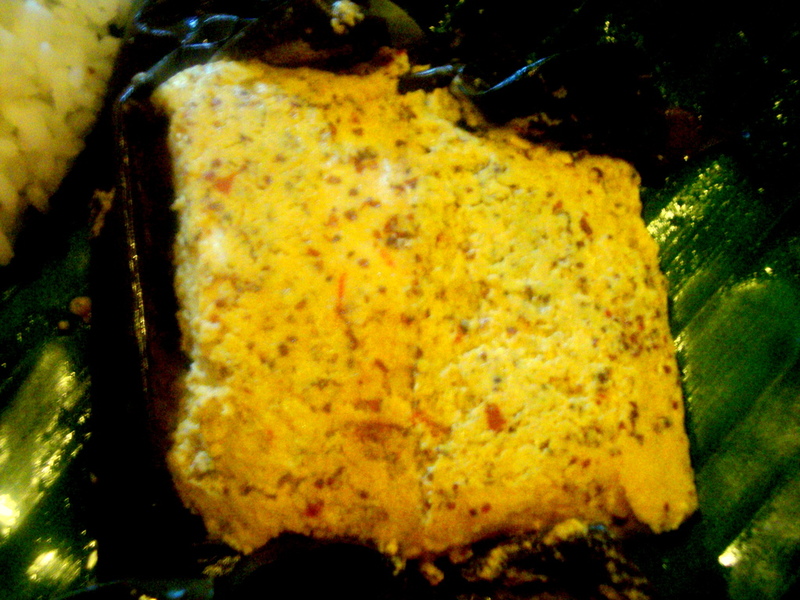 Last week when mum went shopping I insisted, i wanted fish and fish made in the traditional Bengali way and she obliged.. 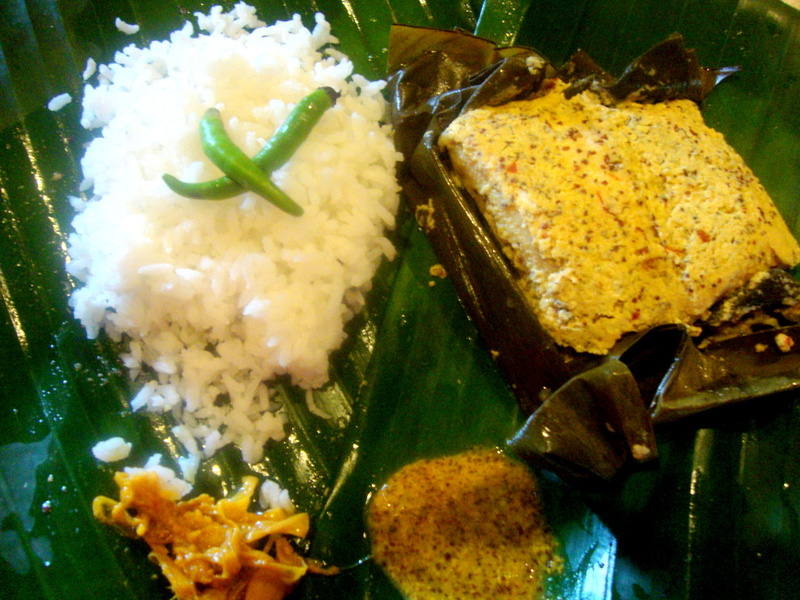 So she came up with Macher Paturi ( as in Fish steamed in banana leaf with special spices and I insisted that she had to make it.. I simply love the way she makes it… The aroma of the spices, coupled with the slow cooking and steaming…. I would give anything to eat that.. So finally, I got my wish..
Now take all the ingredients except the fish and the plantain leaf and the extra mustard oil, put in the blender and blend all the spices together till they come together in a fine paste… take the mustard oil and brush it over the plantain leaves.. Now place the fish on a plate and marinade them with the spice paste. Then place the fish on the plantain leaf and then tie them up with a thread to hold the edges of the leaf.. Then place them in the steamer and let it slow cook on the gas for about 20-25 mins.. (you could use a moktu.. which is used to steam momos or the bamboo steamers in a wok filled with water (double boiler style ) or the electric steamers… By then the fish should be ready and you can serve it with hot steaming rice and jack-fruit pickle…. 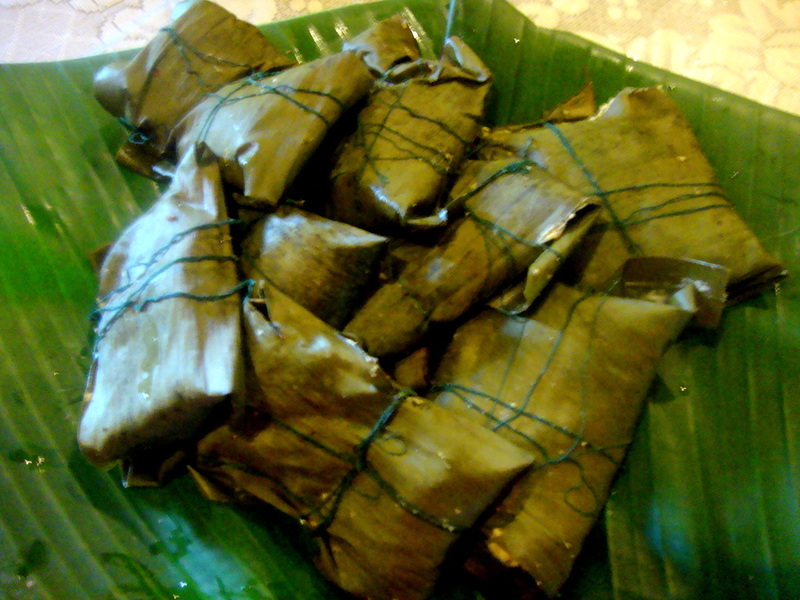 This is my mum’s recipe and such a satisfying one… totally love it…….